Shipping giants FedEx and UPS say they will not transport a $1,500 computer-controlled, homemade firearms mill, as the companies are concerned the technology presents thorny legal implications, according to a Wired report. First unveiled in October, the Ghost Gunner – a one-foot-cubed, computer-controlled (CNC) gun mill made by the nonprofit Defense Distributed – is able to produce an aluminum firearm body using digital designs. The mill can develop a “ghost gun” that comes without a trackable serial number, of course. A mill-produced firearm can be added to with extra parts to produce, say, a homemade AR-15 semi-automatic. This capability has shipping companies balking – at least initially – as to whether they would handle such a personal gun mill. Despite their routine shipping of 3D printers and similar mills, the FedEx told Defense Distributed it would not transport the Ghost Gunner until it was sure of the pertinent legal issues the machine poses. “This device is capable of manufacturing firearms, and potentially by private individuals,” FedEx spokesperson Scott Fiedler wrote in a statement, according to Wired. Yet the purchase, sale, or use of a “ghost gun” mill is legal, as is owning an AR-15 without a serial number, Adam Winkler, a law professor at UCLA, told Wired. 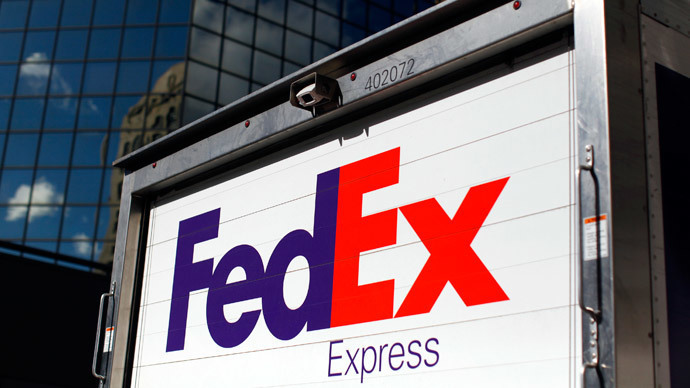 Cody Wilson, Defense Distributed’s founder, said that FedEx is making a political statement rather than a cautious legal decision. UPS, too, said it was wary of legal and regulatory aspects of shipping such mills. “UPS reserves the right to refuse to provide transportation service for, among other reasons, any shipments that create legal, safety or operational concerns,” company spokesperson Dan Mackin told Wired. The US Postal Service did not immediately respond to Wired’s inquiry over whether they, too, would pass on shipping mills capable of fashioning firearms on the cheap. Though Ghost Gunner is capable of making a variety of items, Defense Distributed heavily markets the mill for firearm production.